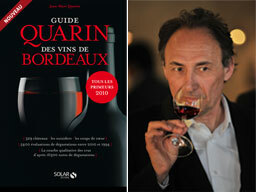 A special appointment with Jean-Marc Quarin. Seated tasting for only 30 people. Workshop led by Philippe Dhalluin, General Manager of Baron Philippe de Rothschild SA alongside Jean-Marc Quarin. Vertical tasting of 13 vintages of Château Mouton Rothschild led by Philippe Dhalluin, who has been responsible for unparalleled meticulousness in the expression of Mouton Rothschild. He will introduce this vertical tasting of Mouton Rothschild from 2004, the year he took over his responsibilities to 2016, the vintage that Jean-Marc Quarin crowned with the exceptional score of 20/20. This will be a gratifying journey guided by observations on how quality in the expression of this legendary wine has been improved. Workshop led by oenologist and owner Caroline Frey alongside Jean-Marc Quarin. Oenologist Caroline Frey, who owns the Paul Jaboulet Ainé Estate, has driven substantial recent changes: the adoption of organic agricultural techniques since 2008, thorough refurbishment of the vineyard and the implementation of a new gravity-fed winery in 2010. In terms of style, the combination of density, precise texture and unbridled aromatic pleasure, produce multi-layered tasting sensations that Jean-Marc Quarin identifies in the world’s greatest wines, irrespective of terroir, grape variety, which in this case is Syrah, and weather conditions. Hermitage La Chapelle : 2015 – 2014 – 2013 – 2012 – 2011 – 2010 – 2009 – 2008.